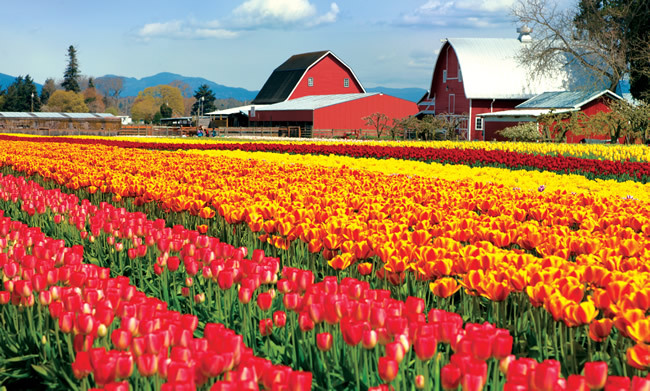 A Tulip Farm in Skagit on American Cruise Lines’ Tulip Festival Cruise. 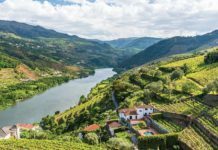 Cruise lines are adding more off-the-beaten-path cruise attractions, ranging from tailgates-at-sea to tulip festival excursions. 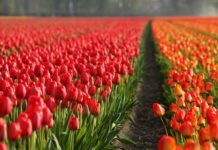 On board American Cruise Lines next spring, your clients can stop and smell the tulips in the Pacific Northwest on the Tulip Festival Cruise. 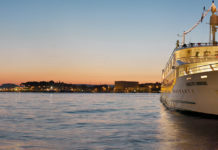 Part of the Puget Sound Spring Cruise Collection, the 8-day cruise departs April 19, 2014 from Seattle and visits Puget Sound and the San Juan Islands between the U.S. and Canada’s Vancouver Island. Passengers will have the opportunity to chat with master flower growers and learn more about gardening with onboard events and demonstrations. 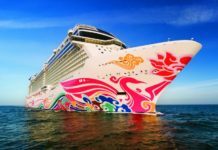 Other cruise highlights include the Skagit Valley Tulip Festival, a trip to Butchart Gardens in Canada and a visit to Olympic National Park in Washington. Rates start at $4,470 pp dbl for a balcony room. For more information, visit americancruiselines.com. 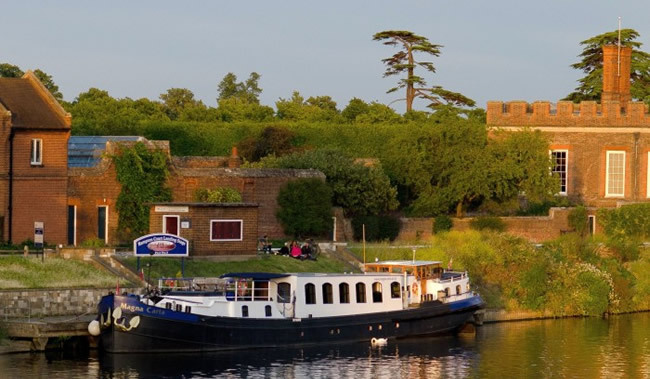 European Waterways’ Magna Carta barge moored at Hampton Court. 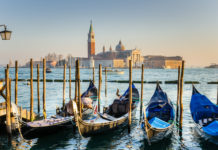 Fans of the British TV series “Downton Abbey” can experience the show’s setting first-hand on European Waterways’ new 2014 cruise excursions. 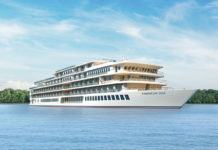 Rates start at $4,350 pp dbl and include all meals, wines, open bar, daily escorted excursions, transfers and admissions. For more information, visit gobarging.com. 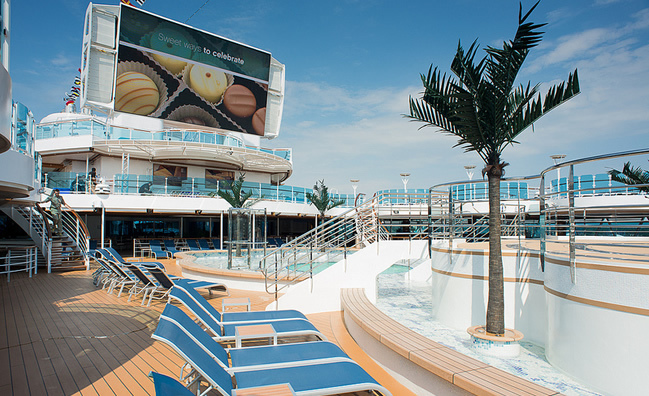 Princess Cruises is transforming its Movies Under the Stars into a tailgate party in honor of Monday Night Football. The tailgate-at-sea will take place each Monday with snacks like hot wings, burgers, hot dogs and pizza, as well as beer buckets and team-inspired drink specials. The games will be shown on the giant LED screen above the pool and feature in-game entertainment, live commentary during commercial breaks, and onboard half-time show and contests with prizes. Guests can catch the games on U.S.-based departures heading to the Caribbean or heading from the west coast, on board Caribbean Princess, Coral Princess, Crown Princess, Emerald Princess, Golden Princess, Grand Princess, Island Princess, Royal Princess, Ruby Princess, Sapphire Princess and Star Princess. Call for rates. For more information, call (800) PRINCESS or visit princess.com.